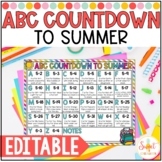 ABC Countdown to Summer HUGE Idea List and EDITABLE Calendar! 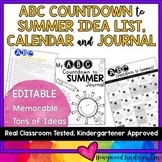 Also included in: ABC Countdown to Summer HUGE Idea List, EDITABLE Calendar & EDITABLE Journal! 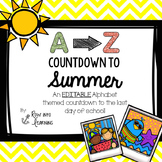 ABC countdown to summer break! 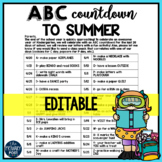 No prep printables!! 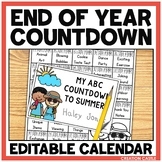 Just write the dates in each square and give out to students to celebrate the last 26 days of school. 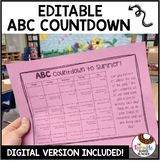 Fun activities that can be adapted to fit any PreK+ classroom. 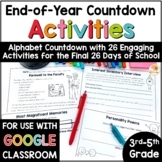 Recommended for elementary students. 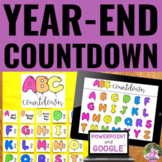 Download the preview for a free parent letter and teacher planning sheet. 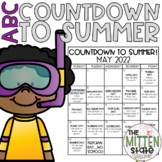 I love countdowns, especially to summer break! Please leave honest, constructive feedback to earn TPT credit for future purchases. I hope you enjoy my product! 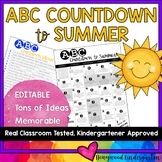 ABC Countdown to Summer HUGE Idea List, EDITABLE Calendar & EDITABLE Journal! 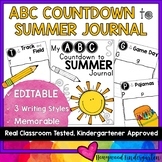 ABC Countdown to Summer EDITABLE Journal! 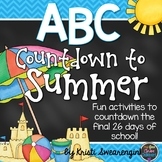 This ABC Countdown to Summer has an activity for you to do each day for the last 26 days of school. 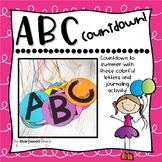 Each activity has an activity that corresponds with the letter from the alphabet.